Great for cutting Carbon Fiber! Industrial Grade Polycrystalline Diamond Coated for Excellent Tool Longevity and Quality of Cut in Even the Toughest Materials!!! 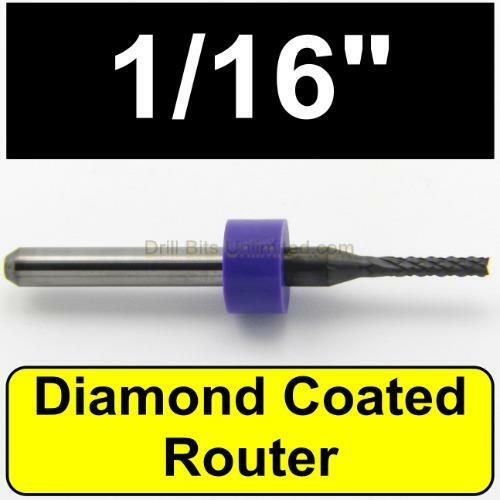 1/8" Shaft fits CNC Router, Dremel tools, etc. Great for Carbon Fiber, Fiber reinforced plastics, Green Ceramics, Rogers Materials, Advanced fiberglass structures and aluminum metal matrix composites.